2005 Missouri Revised Statutes - § 33.120. — Claims against state to be presented to commissioner of administration within two years--exception, reduced rate for certain claims. 33.120. 1. Persons having claims against the state shall exhibit the same, with the evidence in support thereof, to the commissioner of administration, for the commissioner's approval, within two years after such claims shall accrue, and not thereafter. 2. Any claim against the state for an item subject to statutory reimbursement which accrues during a fiscal year in which the governor reduces an allotment of appropriations pursuant to section 33.290 shall be paid at such reduced rate regardless of the fiscal year in which the claim is submitted, if such claim is for an item identified by the governor as being subject to reduction. This is a little known statute that is causing some folks some problems. 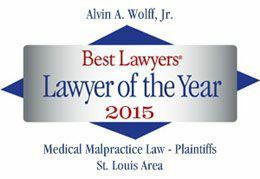 When a claim is made against the State of Missouri, a claim should be filed with the Commissioner of Administration within 2 years according to this statute.